Andrew: Thanks so much for your review! We look forward to continuing to provide an outstanding and professional storage experience for your valued items! Move in process was smooth and professional. 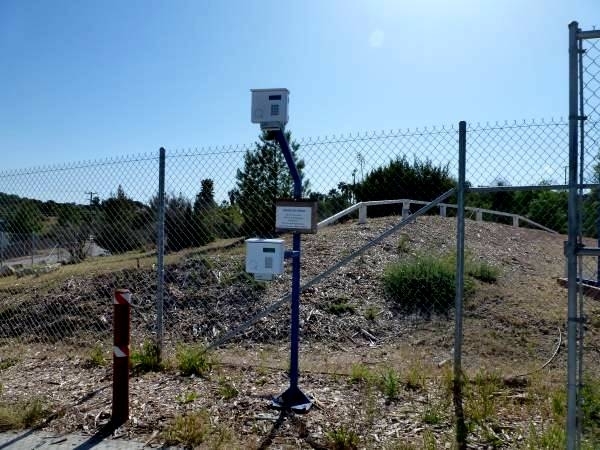 facility is state of the art, nice clean fence, quality cameras on property. Mr. Lawson: Thanks so much for the great review! We are thrilled to hear that you are happy with your experience, and we look forward to continuing to provide you with an outstanding storage solution for your valued items! Morgan was fantastic to work with (and we had a great call with Steve before we showed up). Price is right, and Morgan was very helpful in the process of figuring out which discounts worked for us (first month free for AAA members, 50% off the 7th month, etc.). 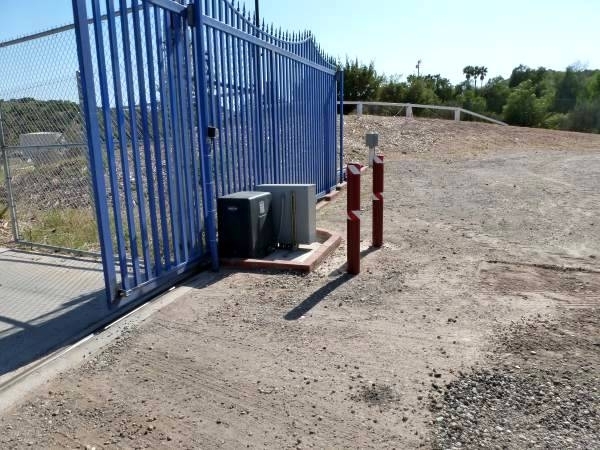 Morgan explained all the security features (cameras, lights, access only with individualized security code) and useful amenities (dump station for $10, hoses, etc.) in an easily understandable way. Highly recommend! Great hidden location only wish it were paved and Marked. Jeremy: Thank you so much for your kind words! We work hard to make our customer's experience a great one! Just one minor note - unfortunately our water is not potable. It is safe for washing and rinsing, but please don't drink it! We look forward to continuing to earn your business. Joshua: Thank you very much for your kind words! It has been a pleasure to work with you and provide you with a premier level storage solution for your valued items! We look forward to continuing to earn your business for a long time to come! Thanks so much for your kind words Gladys! We are very glad that you had an excellent experience. Our Assistant Manager Morgan is a great asset to our team, and we are happy to hear that it is recognized! We look forward to continuing to provide you with excellent service and value for your stored belongings! We went in on Sunday and it was so easy and a quick process. Dona: Thanks for your review! Believe me, we also wish the lot was paved and closer to civilization! ;) Barring miracles, we are glad to have you here, and look forward to continuing to provide you with an excellent storage experience! I have always been treated fair and honest. I have never not had a answer to my questions right away. I believe they are doing better all the time trying to keep their costumers happy. Michelle: Thank you so much for your kind words and great review! We appreciate everything, and look forward to providing excellent service and value for your storage experience for a long time to come. We have had our trailer here for 4 years and canât say enough good things about the place. Big spaces, affordable, solid security system and fantastic customer service. This spot has it all. Lisa: Thank you so much for your review, and your kind words! We are certainly pleased to have Morgan as a valued part of our team, and are very glad to get feedback that she is upholding the excellent customer experience that we strive to achieve! 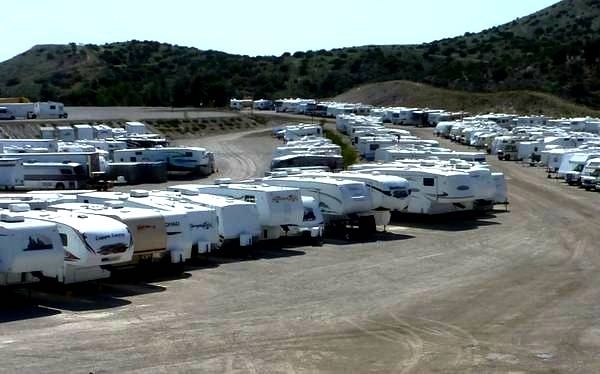 First time looking for a storage facility for a recently purchased motor home. Alot more time consuming than I had anticipated. We called many places ranging from Simi Valley to the Santa Clarita Valley and hands down this was the best price and also the best all around as far as treatment and experience. Morgan is a gem! I called a few times and each interaction was making my decision that much easier. She is an absolute pleasure to speak to. She is very knowledgeable and personable. The best customer service I have had in a while! 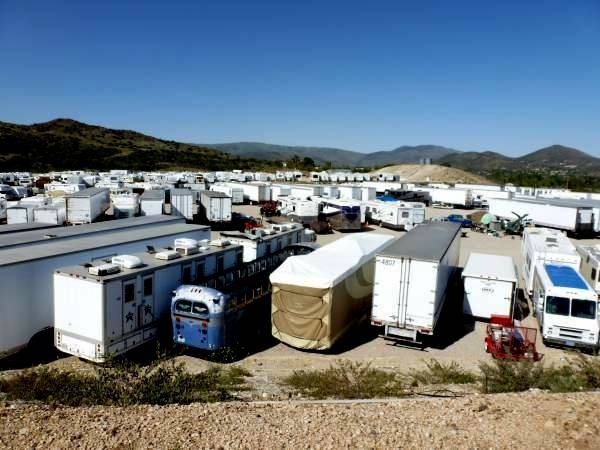 Maybe the other storage facilities closer to where we live could stand to learn a few things from Morgan and Agua Dulce Storage! Thank you! Kevin: Thanks so much for your review! We are glad that you like it here. We are sorry to hear about your difficulty with the space width, it is unfortunate that the poor parking of other tenants can affect your experience, especially with our 11ft wide spaces! As for drinking water, we have bottled water available in the office 7 days a week! Stop by and see us, and we would be happy to make sure you have water! 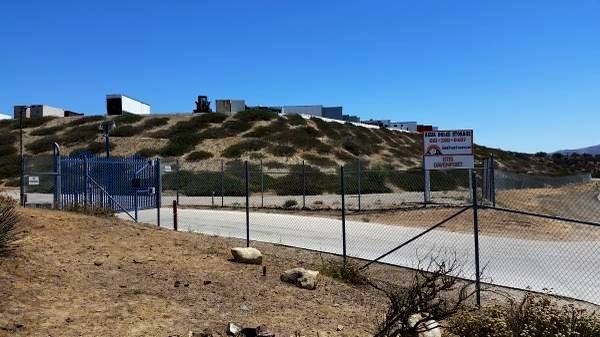 We are also in the permitting stages with the county for a construction project which will include a water filtration system for our non-potable wells. Stay tuned! 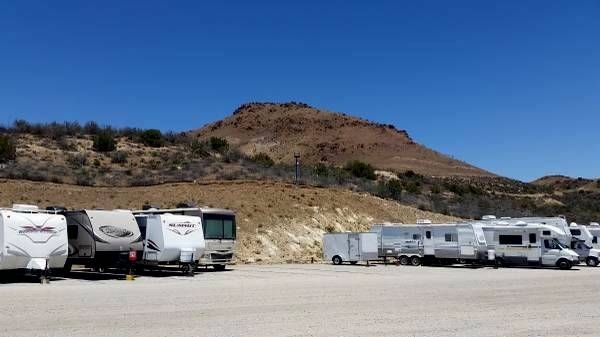 Moved my RV here several months ago after my previous storage lot closed down with short notice. Aqua Dulce was a little further than I wanted to drive so I planned to keep looking. But I really like it there. Dump station and wash station are very convenient. Also they have a air pump which I have used to inflate tire. The lot is kept very clean and they have an outhouse which is also cleaned regularly. Would have given it 5 starts but parking spaces are very narrow and when neighboring trailer is not centered, it is hard to back in. Also, drinking water would be nice. I would like to see this type of facility and business model more around CA and the country. Thank you Patrick! It's been a pleasure to work with you as well! A good friendly place . The staff is excellent. Is knowledgeable and a very clean place as well as secure. Diane Williams is very kind and helpful. She is a wonderful presence to have around when dealing with storing your vehicle! Thanks Cristobal! It has been a pleasure doing business with you! Please let us know if there is anything that we can do to improve your experience with us! BEST storage I've EVER had!!! Out of the 8 storages I've had in the past years hands down, Agua Dulce Storage is by far the best storage I've ever had! They are very affordable, perfectly accessible, friendly as ever (Steve is the greatest! ), honest, and very secure. And as a bonus they're open 24 hours which is so convenient!!! I'm never switching storage facilities again!!! Highly recommend! Went out of their way to be of service. I used to Agau Dukce Storage to store a motorhome while away on a trip. When I arrived, the shuttle service I had contracted to take me to LAX arrive 75 minutes early and couldn't wait. The manager at the storage facility processed me as quickly as possbile, trying his best to get me finsihed and stored in minimum time. When the shuttle left without us, the manager did everything he could to get us transportation. Botttom line - we made it to our flight, thanks to him. 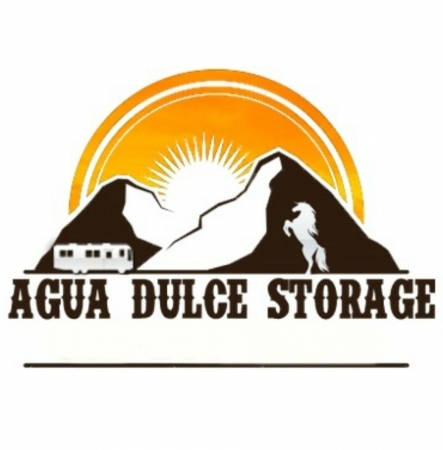 I am very satisfied with Agua Dulce Storage - not so much with the shuttle service. I highly recommend Agua Dulce.